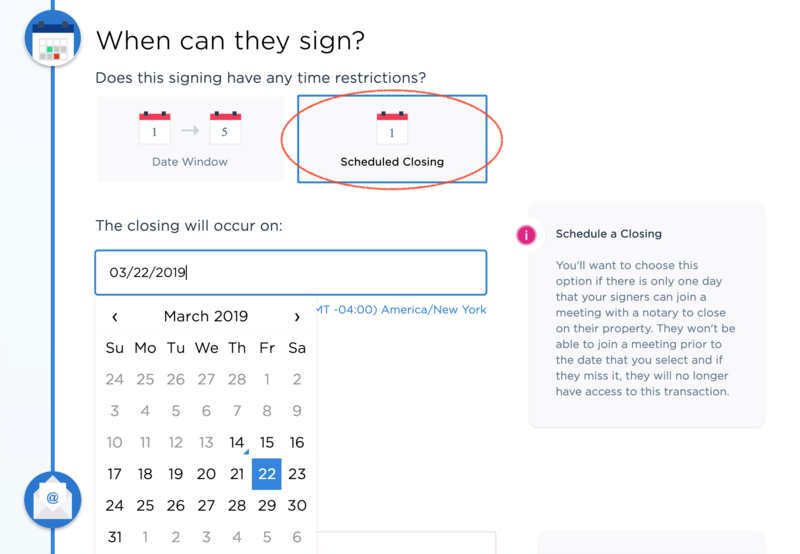 Choose a date for the closing that works best for you and your clients, all while having the convenience of an on-demand service! As a Title Agent, you can send your clients an entire closing package online. Your clients can review the documents, and once they're ready, they can connect with one of our notaries to sign their documents. 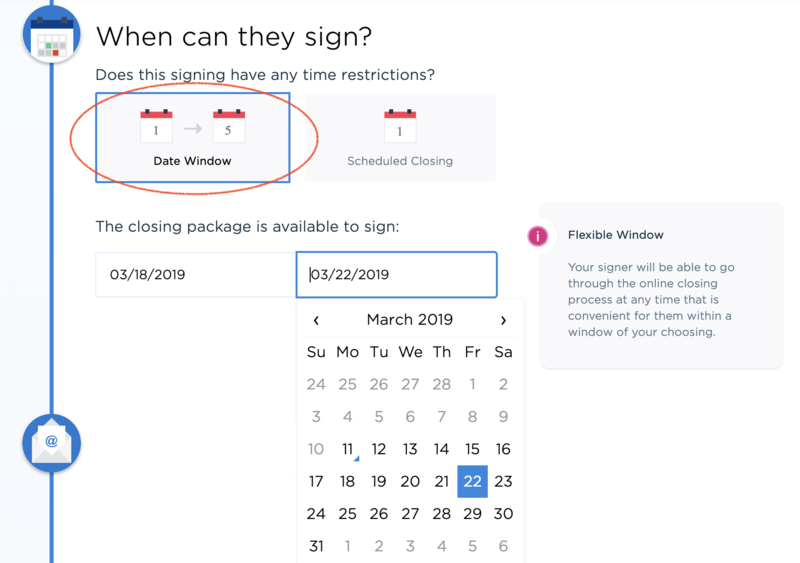 You have the option to choose when your clients are able to sign. Your signer will be able to go through the online closing process at any time that is convenient for them within a window of your choosing. You'll want to choose this option if there is only one day that your signers can join a meeting with a notary to close on their property. They won't be able to join a meeting prior to the date that you select and if they miss it, they will no longer have access to this transaction. Still have questions you can't find answers to? Click the blue bubble in the corner of your screen to start a chat with us or send us an email at support@notarize.com!